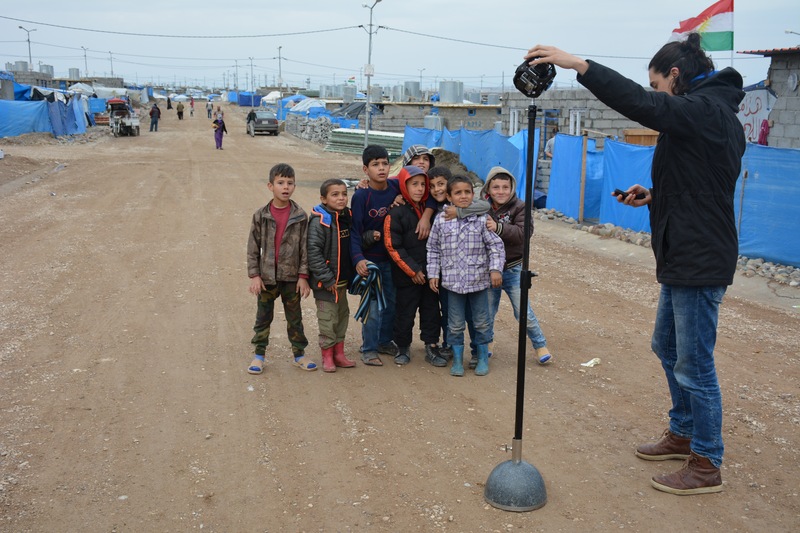 In December 2015, we traveled to Iraq with Stichting Vluchteling and the IRC (International Rescue Committee) to make a VR docu-series about Syrian refugees in Kurdistan, Northern Iraq. The complete series consists of 4 portraits in virtual reality film and can be watched on our website and social media platforms. Stichting Vluchteling also has 10 Gear VR’s traveling through the Netherlands to show people the experiences in VR during events and fairs. One of the portraits (Farah) is also available in The VR Cinema, playing in Amsterdam, Berlin and various pop-up cinemas in Europe. During this project we also filmed a lot of B-Roll which we have now edited into a ‘making of’ of this special project. Watch the full ‘6 Days in Iraq’ experience on our YouTube channel.